FIEA delivers world class technology events for Australasian forest products companies. We provide a unique and independent platform to showcase new and emerging technologies to the industry. Since 1998 the Forest Industry Engineering Association (FIEA) has designed, managed and run over 500 conferences, trade shows and exhibitions for local companies. Our objective is to improve the performance and productive capability of forestry and wood products companies in the region. Showcasing new innovations, operating practices and safety improvements best suited to our local harvesting and contractor operations. Showcases new practices, systems and tools for improving forest safety – focused on local and practical outcomes. Last held for New Zealand and Australia in August 2018. 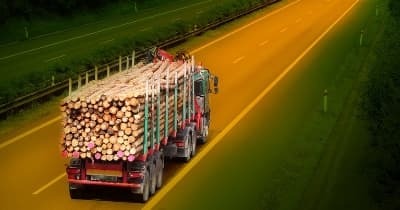 Provides practical tools, new innovations and key insights to improve the wood supply chain’s planning, logistics and operations. Last held for New Zealand and Australia in June 2018. 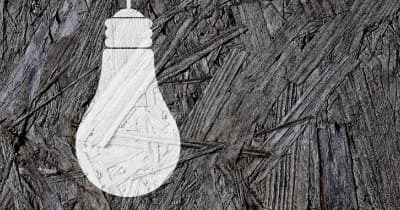 Provides critical insights into new wood treatments and engineering innovations that are currently changing how business in this region is conducted. 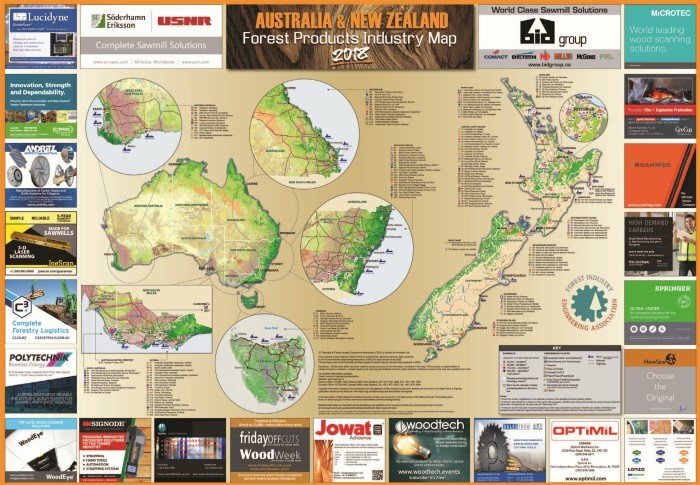 New Australia & New Zealand Forest Products Industry Map Released! 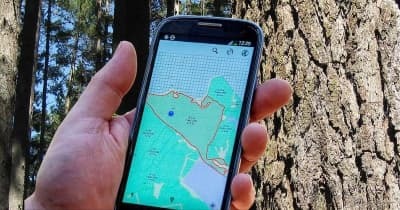 How do I successfully launch a mapping drone? 100's of papers available to FIEA Members This detailed and comprehensive resource has been set up specifically for FIEA members. FIEA manages an extensive series of technology events each year for forest products companies. This page, Technology Updates, provides a selection of up to ten papers/presentations for each event (usually posted within two-three months after the event). These recent papers/presentations can ONLY be read and downloaded by FIEA members. Membership details can be found in the Membership Section. For members who have forgotten their membership number, please contact our offices. 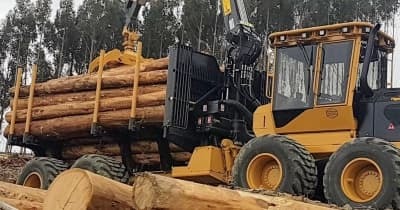 The THIRD edition of a full colour map combining the wood processing and manufacturing operations of BOTH New Zealand and Australia. A new industry resource updating the SOLD OUT 2016 issue. Features over 50 major updates to mill locations, ownership and production. 186 wood processing operations listed; Includes 72 sawmills, all fibreboard, particleboard, plywood, pulp & paper, veneer/LVL/CLT, paperboard and chip export operations along with major wood manufacturing operations. 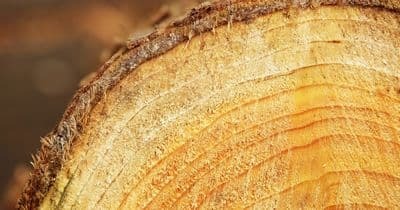 Now the most up-to-date industry reference providing an essential mapping resource for New Zealand and Australian wood products companies. Actual size: 980mm wide x 680mm tall. Prices are the same in both New Zealand dollars and Australian Dollars. GST is ONLY applicable to orders placed WITHIN New Zealand OR Australia. New Zealand GST is 15% and Australian GST is 10%. FIEA Members receive a 10% discount. For our full set of terms & conditions, shipping and return policies, click here. 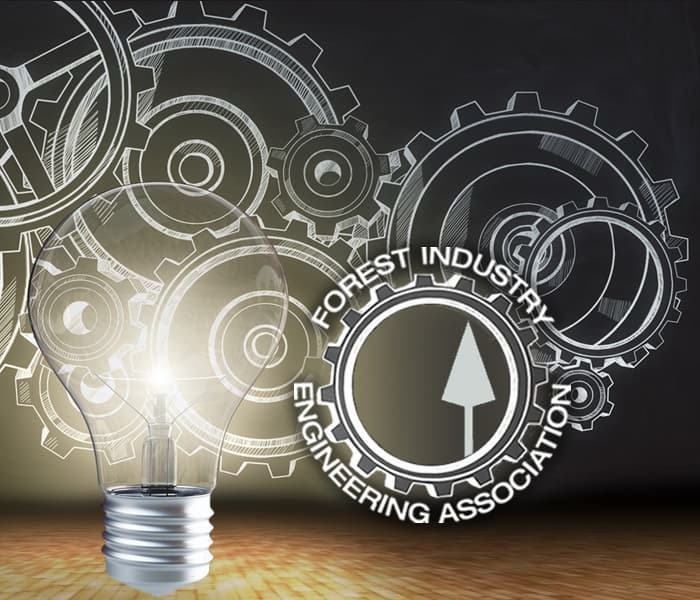 Forest Industry Engineering Association (FIEA) members are provided an extensive range of benefits. 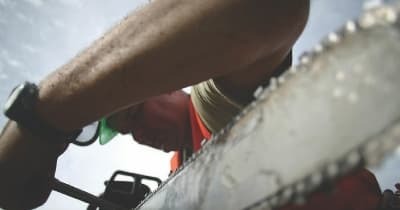 Working closely with forestry and wood products companies throughout Australasia, the membership benefits have been structured to provide a package of services not being covered by other industry groupings. Membership rates are low by industry standards. Membership is voluntary. It’s also not being set by any collected levy. FIEA members join only if they see real value in the array of discounts being offered through the technology programmes and resources that are being supplied. Technology Updates on the FIEA website is one of the most comprehensive listing of resources available on any one website. The resource is being used extensively by member companies as an essential up-to-date reference for evaluating new and emerging technologies, for troubleshooting and for on-site training. Over 150 plus presentations/papers are able to be accessed by FIEA members. FIEA is also now the largest provider of weekly and monthly forest products news in Australasia. In addition to breaking news and technology updates every week through Friday Offcuts and WoodWeek, free copies of FOUR leading industry magazines are sent directly to all FIEA members to ensure they stay abreast of key issues that will impact on their business. FREE and exclusive FIEA Member online access to new technology resources. This includes hundreds of the very latest presentations and papers from FIEA technology events. This resource is being used extensively by member companies as an essential up-to-date reference for evaluating new and emerging technologies, for troubleshooting and for on-site training. Save 25% off all Friday Offcuts and WoodWeek advertising, including buy & sell and job classifieds. 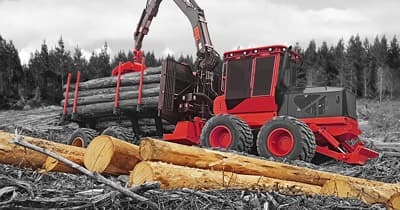 The Forest Industry Engineering Association (FIEA), a division of Innovatek Ltd, has since 1998 been running an extensive series of technical programmes for forestry and wood products companies. Programmes are being run, over 500 at last count, for both New Zealand and Australian operations. An independent forum for local companies is provided by FIEA to evaluate new technologies. Networking with other companies and leading local and international technology providers is also a significant benefit of these events. 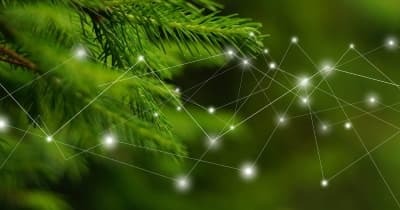 Forestry and wood products companies, largely distant from most major technology providers, can through FIEA, evaluate a wide range of new and emerging technologies suited to their own operations. 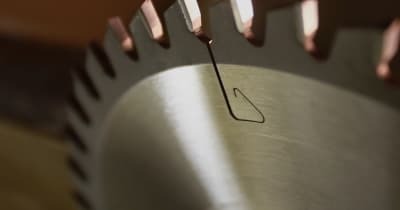 FIEA is well established as a leading provider of technology transfer services for forest products companies.